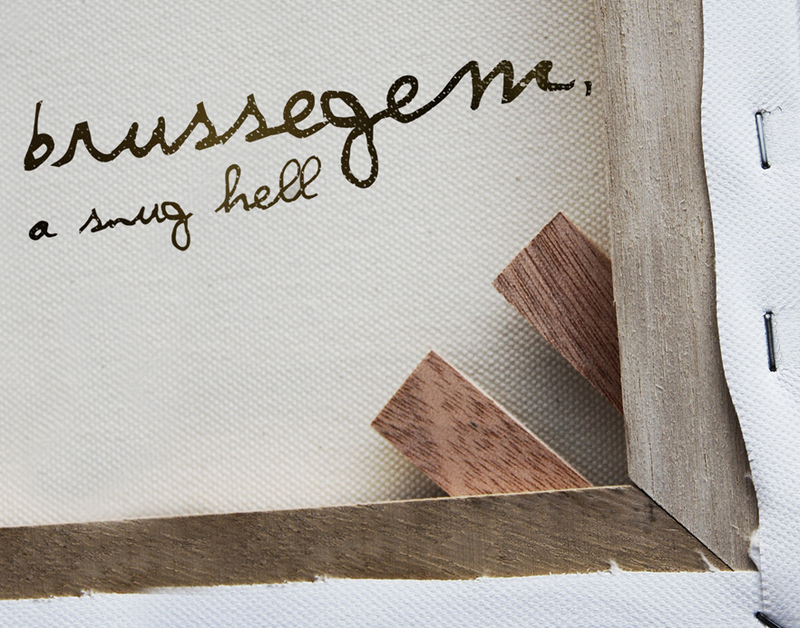 My next novel, Brussegem, a snug hell, has spent a long while in the pre-production stage, but (insert moderately shouted hallelujah here) it will be appearing shortly. And it is also a short book. The delay, if you really want to hear about it, was mainly, as a new-guy, small publishing, media company on the international block, some errors in the production of the very first book (How to Find Yourself) surfaced fairly darn quickly, both in presentation layout and distribution (the second book “Self-Portrait of Someone Else” suffered no production embarrassments). I wanted to ensure everything that followed was professionally accomplished before releasing it. In short, some teething problems, followed by a determination to get it right. In the meanwhile, I come to my blurb writing, the tiny, catchy synopsis necessary when announcing a book, and with this I have my usual tussle in describing something I have written without sounding like an extended sales letter, or generic book-promo-plot-based-yelping. Brussegem is both a place and a person. But mainly it is a painter. A fully dedicated and fairly isolated American painter living in Europe whose creed is art, and only art. Until Veronica Weise, the wife of another, seeks his attention, companionship, something artistic, and, if possible, something wild. But then there’s her baby. And that cat. The struggle between art and domesticity begins, between an artist who does not want to fall in love, and a woman who does. Mostly, in this incessant world of promotion and pay-attention-to-me-right-now-I-said-right-now, I plan mainly to post excerpts (both words & audio) of the novel and let people get interested that way. Less hussle and muscle. Part of my revised plans are to have the novel come out simultaneously as a print book, ebook and audio book. Sometime next month is the actual launch…however, I shall see what reality has in store for me between this moment and that moment. Thanks for reading this, and for your interest.